Wall controllers with low-upstroke control (line) WSB3 are the main and most frequently used units (controller) in the iNELS system. Built-in micro-buttons with low upstroke off er elegant and easy control. Two-colored indication LED, located in each position of controller, can signal status of controlled appliance, and also status of any sensor or actuator in the system. Controllers are designed as two-channel (WSB3-20) or four-channel (WSB3-40). 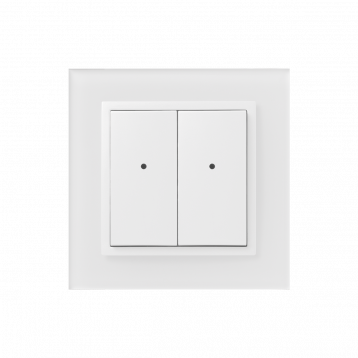 All versions are in the same dimension as a basic modular wall-switch (94x94 mm), in Logus90 design and can be combined into multiframes with other devices of this line. Each controller is equipped with a temperature sensor. It is also equipped with two analog/digital inputs (AIN/DIN), which can be used to connect two potentialless contacts or one external temperature sensor TC/TZ (e.g. for measuring floor temperature). 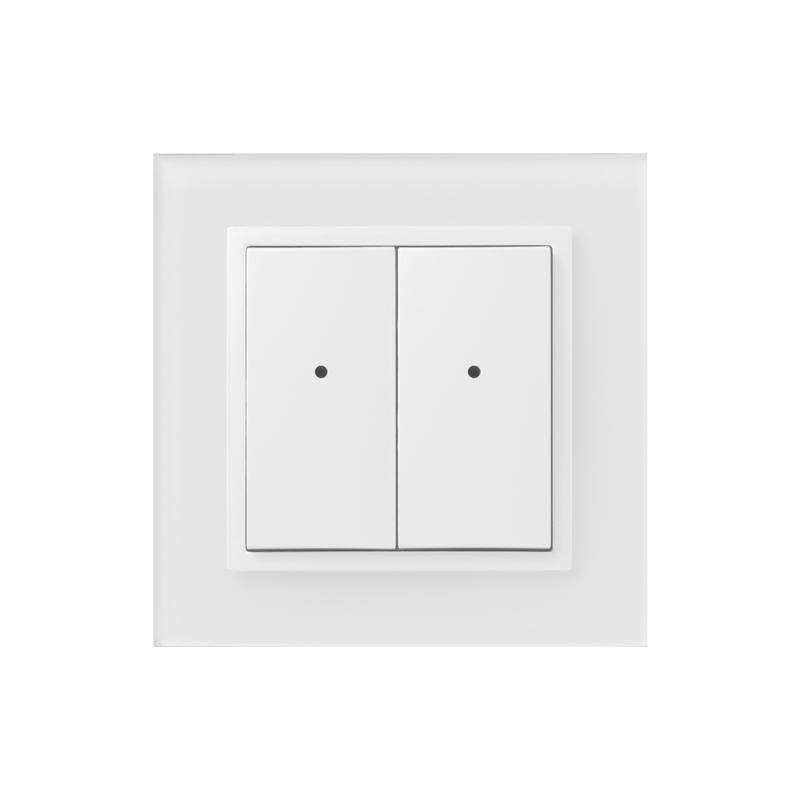 Advantages over conventional switches / buttons include space saving, signaling of any output system, the ability to measure temperature and the possibility to connect external buttons or detectors. Each channel (button) can control any actuator (appliance) in the system. It is also possible to program various functions or macro function (set of functions) to each button. Allowing you to control several appliances with one button simultaneously. WSB3 in LOGUS90 design is designed for mounting into an installation box.